Hadrian's Wall is a superb Roman Coast-to-Coast walk. Stretching from the mouth of the Tyne in the east to the Solway Firth in the west, the Hadrian's Wall path follows the greatest relic from the Roman occupation of Britain which lasted 400 years. During a walk along the Wall you will pass the sites or remains of the 16 Wall Forts, plus numerous milecastles and turrets, plus original and partly restored sections of Hadrian's Wall itself. The wall can be walked in either direction. Single rooms are available. We only apply a supplement for single accommodation when there is a direct cost to us and we cap this in line with our ‘Fair pricing’ policy. 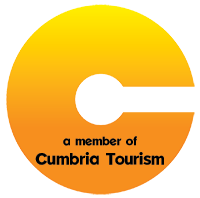 Solo walkers pay a supplement of £8 per walking day, plus any single room supplement which may be required. This 4-day Hadrian's Wall itinerary enables you to complete the route over a long weekend. It requires a minimum of 20 miles each day and should only be undertaken by fit and experienced walkers. Transfers are required at some stops on this itinerary. The route is normally tackled from east to west but can equally be undertaken from west to east where you have the advantage of the prevailing weather at your back. Arrive Wallsend/Tynemouth and check in. Our 5-day Hadrian's Wall itinerary is for fit and experienced long-distance walkers who wish to complete the route in a minimum time. The route is normally tackled from east to west but can equally be undertaken from west to east where you have the advantage of the prevailing weather at your back. This 6-day Hadrian's Wall itinerary is for walkers who's focus is on the walking rather than the history. The route is normally tackled from east to west but can equally be undertaken from west to east where you have the advantage of the prevailing weather at your back. This is our recommended itinerary for Hadrian's Wall, splitting the route into seven stages. There are longer legs at the beginning and end and shorter legs over the more rugged and more interestingly diverting, central section of Hadrian's Wall. This itinerary will provide a challenge even for fit walkers while still leaving time to explore the relics and remains of the greatest empire the world has ever seen.
. Arrive Wallsend/Tynemouth and check in. The 9-day Hadrian's Wall is a relaxed pace option for those who want to spend more time exploring the Wall's numerous forts and milecastles. Except for the initial level walk along the banks of the River Tyne, there are no days longer than 12 miles. As with the 8-day option you will 'detour' to Corbridge to split the long second leg of the normal 7-day Hadrian's Wall itinerary. This option also splits the final leg from Carlisle to Bowness-on-Solway into 2 stages of 7 miles each. Without doubt, the most spectacular section of the Hadrian's Wall Path is the central section. Here the Wall's builders followed the natural defensive feature of the Great Whin Sill, a line of doleritic crags stretching across the country. Not only does this section provide the most spectacular landscapes on the route of Hadrian's Wall, but also it is here that the Wall is most in evidence being located far enough away from towns and villages to have escaped plunder for building material and here also is the only restored section of the Wall. Between Chollerford and Brampton you will also find the most intact examples of the Wall forts and milecastles including Chesters, Housesteads and Vindolanda. If you don't have the time or the inclination to walk the entire length of Hadrian's Wall, this itinerary will showcase it at its best. Arrive at Chollerford / Humshaugh and check in. This option walking the central section of Hadrian's Wall over 4 days offers the best of both scenery and history. Starting in Corbridge where you can stand on the Stanegate - the ancient Roman road to Carlisle which pre-dates even the Wall - you then follow the undulations of the Great Whin Sill to Banks, passing the forts of Chesters Housesteads and Vindolanda, before descending to Lanercost Priory built with stone plundered from Hadrian's Wall and ending in the Cumbrian market town of Brampton. Arrive at Corbridge and check in. This option walking the central section of Hadrian's Wall over 5 days begins in Corbridge and ends in Carlisle. Along the way you encounter spectacular scenery from a vantage high on the the Great Whin Sill and you can visit the Roman forts of Chesters Housesteads and Vindolanda and the medieval Carlisle Castle. This is classic walking on the best of the Hadrian's Wall Path. WALLSEND: There are frequent trains to Newcastle from London Kings Cross (3 hours) and from Manchester (2½ hours). From here you can take the Metro to Wallsend (20 minutes). We do not recommend arriving by car as parking is expensive and the return transfer long. CHOLLERFORD: To get to Chollerford, take a train to Hexham from London (4 hours) or Manchester (3½ hours) then bus (20 minutes) to Chollerford. Car parking and return transfers are available at extra cost. RETURN: From Bowness-on-Solway there are regular buses to Carlisle (30 minutes) and frequent trains from there to London (4 hours), Manchester (2 hours) and Glasgow (2 hours). If departing from Brampton there are regular buses to Carlisle (20 minutes). You may find the following third party websites useful in planning your walk along Hadrian's Wall. ENGLISH HERITAGE: Looks after England's four hundred plus historic buildings, monuments and sites. It's Hadrian's Wall page has a detailed section on the history of the Wall. NATIONAL TRAILS: Looks after the path along Hadrian's Wall. Lots of useful information here. VINDOLANDA: Not on the wall itself but associated with it, this excavated fort produced the most significant finds ever in terms of our knowledge of life in Britain at the edge of the Roman Empire. CARVORAN ROMAN ARMY MUSEUM: All things Roman can be discovered in this collection of artifacts, and interactive educational exhibits. They also have a 3D film where you fly along the wall and watch as it is built.